Dynamic, home run hitter, versatile. That’s the main package of what Darrell Henderson brings to the table as a running back. He’s a weapon more than anything in the backfield, and his production is off the charts. As long as Henderson is able to stay featured enough with an NFL offense, he’ll find plenty of success. Henderson’s slippery and can reach the open field in a blink of an eye. Memphis’s zone run system fit him so well. His ability to feel the defense and make sudden cuts in between defenders leads to missed tackles and those long yardage runs. Henderson presents the smoothness of former Chiefs running back Jamaal Charles, back when he was in his prime. Likewise, his shiftiness and power in space present a style similar to Dalvin Cook or Derrick Henry. That ability to read the defense leads to many cutbacks by Henderson. He’s very smart to know when to wait behind pulling blockers before hitting his burst. With that zone run scheme, Henderson was typically better with stretch/outside runs. When running in between the tackles, it’s hit or miss. Sometimes being too quick on hitting the hole comes back to bite him. Henderson’s speed is above average. But, it’s that second or even third gear that he reaches in open space that allows him to break for long runs. His lateral quickness is wicked, which makes him look like a bowling ball, bouncing off of defenders. When running straighter, Henderson is not as successful. It’s that change of direction with no wasted movement that allows him to get out in space. I think this is Henderson’s greatest attribute to help lead him to success. His cuts and twists are smooth because of his ability to pinball off of contact. His legs never stop between the whistles. This constant running style leads to so many missed tackles, and his momentum makes defenders indecisive on how to play him. Henderson will also run over anyone in the open field, with a fine pad level and absorption of contact. Like his non-stop running style, Henderson has great effort in pass protection. But that effort doesn’t always lead to success. His smaller frame is a weakness against interior defensive linemen. When stepping up, Henderson’s results are better. There is too often times where this doesn’t happen, and he will sit back and take on defenders flat-footed. Memphis was not shy in using Henderson in the screen game, in swing routes and even as a slot receiver. Not always clean in making catches, but this is more so as a slot receiver. When running screen routes, there’s more success because Henderson is already in open space looking for big yards after the catch numbers. I think his body control is more of plus than not as a receiver too. With how much the Chiefs run out of the shotgun, Henderson’s game would translate well to the offense. Certainly, Kareem Hunt‘s time ended in KC on the wrong note, there could be the kind of production and success Henderson could have that would be similar to Hunt’s game. He’s someone you can rely upon due to his effort and also his non-stop motor. While the Chiefs may switch to more of a running back by committee approach, give the ball to Henderson late in games with the lead. Therefore, you still have the chance that he could break one to extend the lead. Thank you for reading. For more draft coverage, stay tuned to Full Press Coverage. – Braden Holecek is the Kansas City Chiefs managing editor for Full Press Coverage. He covers the NFL. Like and follow on Follow @ebearcat9 Follow @FPC_Chiefs and Facebook. 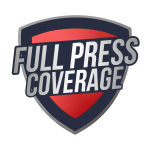 – Kyle Senra is an editor for the Kansas City Chiefs on Full Press Coverage. Like and follow on Follow @nyama_ks Follow @FPC_NFL and Facebook.